Whether you want a jacket for use in harsh environments or maybe to use it as a uniform for your high demanding job, a tactical jacket must always be ready to ensure high readiness and reliability in every situation. You came to the right place. You can find a good selection of tactical jackets that in our opinion are the best out there on the market, and hopefully, help you decide if they satisfy your demands. 5.11 is one of the best companies in the world to manufacture high-quality outerwear, shoes, bags and accessories for demanding customers all over the world. 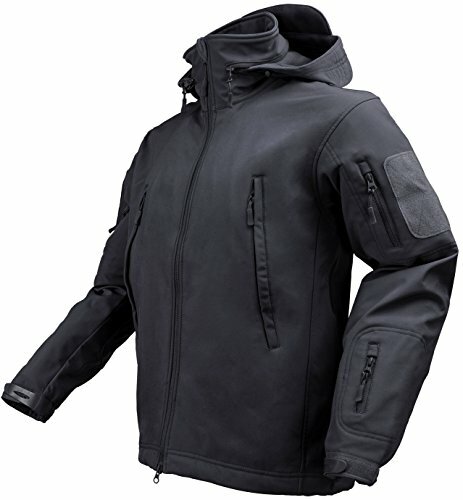 This jacket is made out of fleece which is incredibly comfortable and offers better warmth than most materials and has lots of immediate access ways to your side-arm, hidden panels and more. It features removable sleeves with elastic velcro wrist bands, a high-performance waterproof and breathable insulated outer liner with mic clips, and a detachable hood. The 5.11 5-in-1 comes at a steeper price than other jackets, but you get a high-performance jacket that incorporates awesome features to help you in your mission-critical activities. 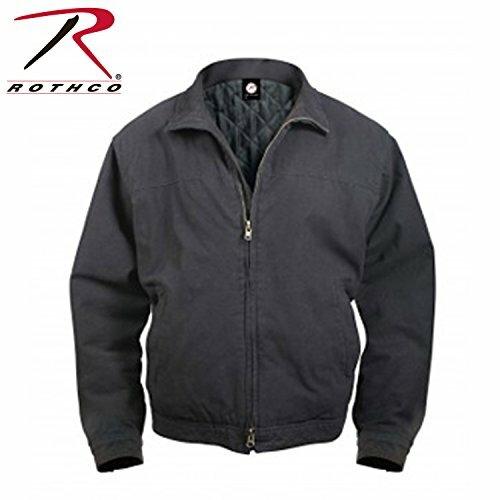 The Rotcho Black Concealed Tactical Military Jacket features a classic zipper closure and is made of high-quality cotton with a polyester inner lining. On the front, it has 2 quite big hand warmer pockets with zippers which by the way are very sturdy and won’t easily fail even if you zip and unzip the jacket often as this is a usual problem with zippers. Also, it has button adjustments on the waist and the cuffs to help you get more comfort as you wish. The holsters are large and will handle most pistol sizes if you plan to carry one with you. However as a small tip remember that a jacket is an easily disposable piece of clothing so you can forget your gun in the jacket and someone who shouldn’t touch it (a kid for example) might cause you a lot of trouble. All around it is a very good jacket that should cover most of your needs in terms of warmth, sustainability, and functions, at a great price. With an outer shell of 3 layer fabric construction that deflects wind and moisture and retains body heat, this jacket is a good choice for cold and humid conditions. It comes in three different colors: black, coyote brown and olive drab. The lining is made out of soft fleece that feels very good and the hood is also a fleece lined stand-up collar. It has comfortable elastic, hook & loop adjustable wrist cuffs. Featuring multiple zippered pockets on the hands and on the front they come in very practical as you can carry both small and big objects. Overall it’s one of the best jackets you are going to find at this price and will make a smart buy if you consider purchasing one for yourself. At a glance, this jacket may seem like it has a stiff price, but when you take a more in-depth look you’ll see that it is premium quality and has a lot of handy features that are not so easy to find on a cheaper one. Its body is made out of polyester and basically the ColdGear® Infrared is a soft, thermo-conductive inner coating that absorbs and retains your own body heat to help you resist in incredibly low temperatures. It features an ultra durable Cordura ripstop upper that handles intense usage. Also, a signature moisture transport system takes care that the sweat won’t cause you problems during long periods of usage. Worth mentioning are the secure pockets that have an internal zipper and are very easy to access in order to get your items out or in quickly. In a nutshell, it is a great jacket that delivers great quality for the price. You can buy it in good confidence, it won’t disappoint you. The Condor Men’s Summit Zero Lightweight Jacket is a durable lightweight jacket that comes at a great price. It is waterproof, breathable, comfortable and allows a full range of motion due to the polyester fabric that it is made from and the intelligently made construction. 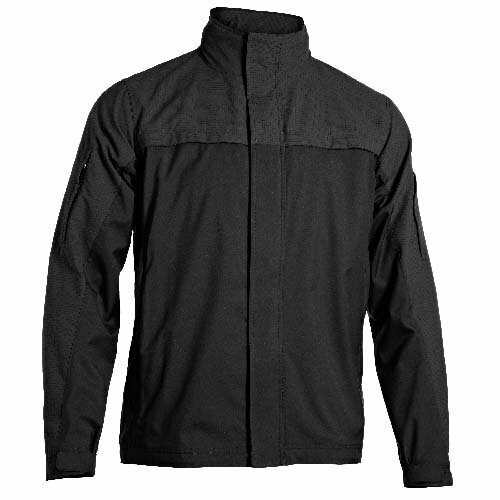 The garment features a three layer integrated shell fabric technology and reinforced joints. Also, it has two internal pockets, two shoulder pockets, one forearm pocket, a double zipper back pocket and two shoulder patch panels of 4 by 4 inches in case you might want to catch a US flag or whatever. It has abrasion reinforced elbows and adjustable wrist cuffs which are pretty hard to find on a jacket in the same price range, the hood is a stow-away kind and is not something to make a fuss about since it’s pretty basic. Designed for tactical scenarios, the Summit Zero jacket may also be ideal for hiking, trekking, traveling, you name it. It comes up as a very good compromise between price and quality and is a very good choice if you consider buying it. 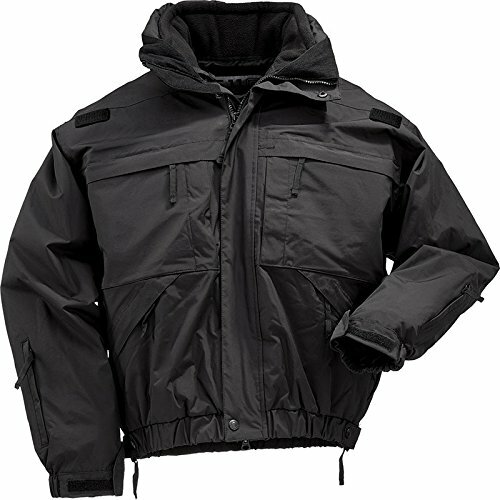 Condor Tactical is also offering a very popular non-insulated version of the jacket, the Condor Summit Softshell Jacket, also available in multiple colors. 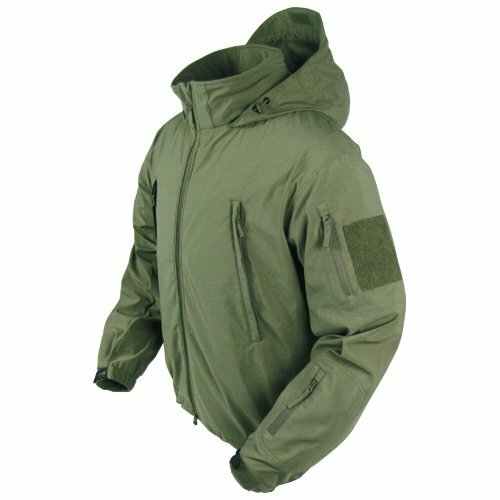 Whether you wanted a cheap tactical jacket that does the job just fine, or you wanted the best the money can get, it is clear that this is a good moment to decide on one that fits you best. And with all the variety of models available on the market you can now make a purchase that perfectly fits your needs and demands while not spending a huge amount of your precious time searching, because as they say, time is money.